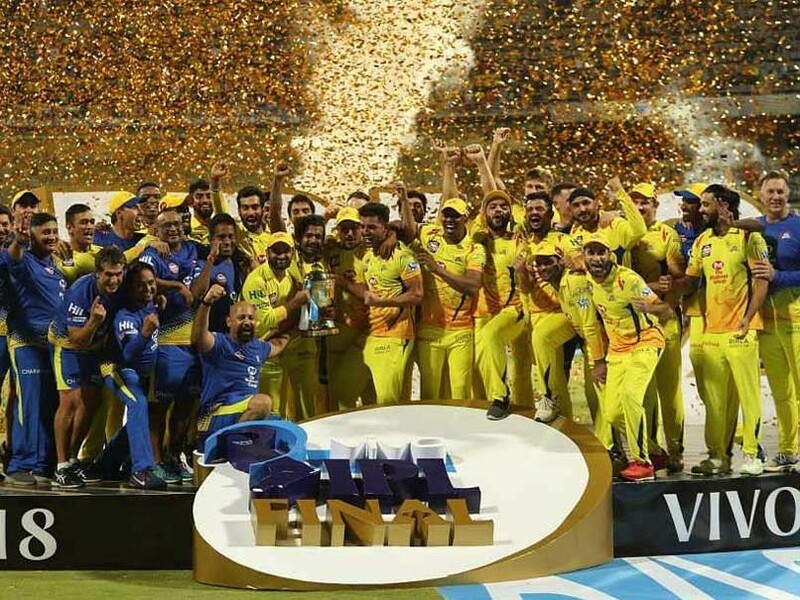 A match-fixing scandal, a 2-year ban and a highly publicized debate and trolling on social media for picking nine players over the age of 30 in this IPL season (who were called ‘Uncles’); Chennai Super Kings silenced all their critics by lifting their third IPL title at the 2018 Indian Premier League and proved that experience was key for them and age is just a number. Modern day cricket, tournaments like the T2O and IPL has found the perfect spot in the lives of cricket lovers who are starved of time and cannot spend the entire day watching a 50 over match. The thrill, the breathtaking pace and twist & turns of a 20 over match format appeals to the masses. It is assumed that this game is for the young blooded, fast paced dynamic youngsters who go for big hits across the boundaries. If we take a look at all the teams Delhi Dare Devils had young blood on their side Kolkata Knight Riders had a couple of under-19 stars but Chennai Super Kings’ choice of players drew a lot of flak among the masses for bringing on board 11 players who were above the age of 30. As a recruiter, I too echo Coach Stephen Fleming’s thoughts when hiring managers make a massive deal while making hiring decisions. There are times when hiring managers insist on hiring young blood – candidates below the age of 30. There is no thought put into such a choice, it’s a choice made on certain stereotypes. There’s no doubt that it’s exciting to have young blood as part of your team and your organization because they bring in the energy, new ideas and enthusiasm but what about the experience, the business maturity that comes with age and knowledge, the confidence and consistency in performance. Mid aged professionals have years of experience developing relationships and strategies for dealing with higher management and various business situations. Most mid and senior roles are best suited for such tenured professionals who possess a mix of confidence and expertise that comes more easily to those with more years of experience behind them. There’s no doubt that youngsters bring in enthusiasm, energy, new perspectives to a business however these are the qualities that anyone who has passion for what they do; would bring to the table. Rather than making a hiring decision by focusing on the age of the candidate; the goal of a hiring manager should be to hire the best talent with the right potential, expertise, experience and passion. I wonder how higher age, defies any of the above. This year’s IPL season has proved that age is ‘just a number’; it’s the experience, confidence and passion that makes the difference and this applies to the workforce as well. At 31: Suresh Raina has scored 413 runs including four half-centuries, despite it being a sub-par season by his standards. At 32: An injured, Kedar Jadhav who kept his composure, hit a six and a four in the last over. This victory set the tone for a series of breathtaking last-over wins for the men in yellow. At 32: Ambati Rayudu who is enjoying the season of his life amassed 602 runs in the tournament, making the most of opportunities that eluded him throughout his stint with Mumbai Indians, and has also earned a recall to the Indian ODI squad. At 33: Faf du Plessis showed all his experience in a high-pressure run chase in the first qualifier against Sunrisers Hyderabad, to guide his team home in another tense finish. The move of him being retained at the auction through the RTM card was also questioned, but he justified the trust shown in him by the franchise. At 36: Shane Watson seemingly turned back the clock as he scored his third IPL century to set up a commanding win over Rajasthan Royals. And everyone knows what he scripted in the finals for his team, knowing he could barely run he scored another century in the finals. At 36: Dhoni has been at his vintage best in IPL 2018 while Roger Federer at 36 is still ruling the tennis court. At 37 & 38 respectively: Harbhajan Singh and Imran Tahir have also made important contributions by providing control in the middle overs. Likewise, in the world of work too, I am a strong believer that experience cannot replace youth / vigour / agility. These are traits that are inherent and not defined by a number.